As they say, breakfast is the most important meal of the day so it's always a good idea to opt for a meal filled with nutrients, fiber, and protein. 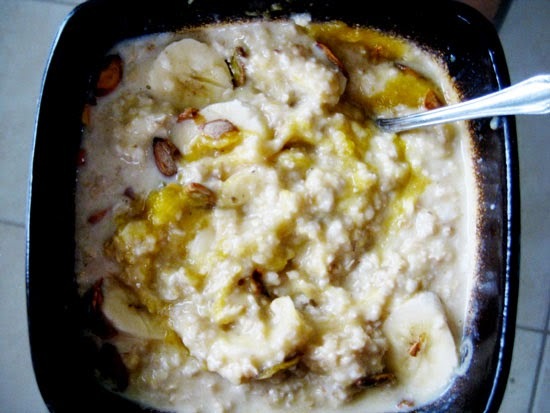 My favorite that contains all three is the very simple, yet delicious OATMEAL! I usually have my oatmeal with butter, milk, seasonal fruits, and nuts. I replaced the butter with pumpkin puree and sweetened with bananas. Health-wise, pumpkins are VERY low in calories and pack a whole lot of vitamins like A (vision health), C (immune system), and E (skin and nails). They're also filled with lots of anti-oxidants and all that jazz, so not only is it good for keeping your waistline in check, but it'll also take good care of your heart. 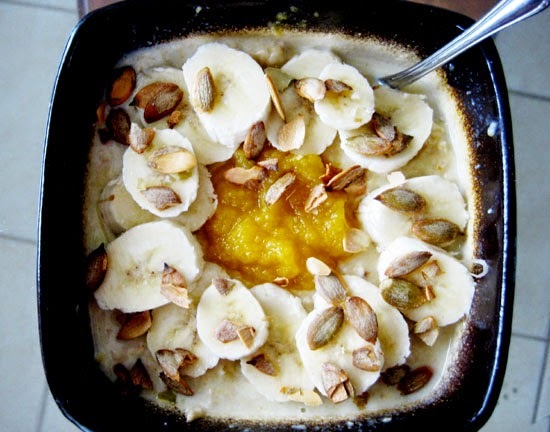 Pumpkins contain more potassium than bananas, so I'd also recommend this pumpkin oatmeal not just for breakfast, but as a post-workout meal to replace those electrolytes and restore overall balance. Cook the oatmeal following the instructions of brand. Cut banana in half. Mash one half. Slice the other half. Mix into oatmeal mashed banana, pumpkin puree, milk, and cinnamon. 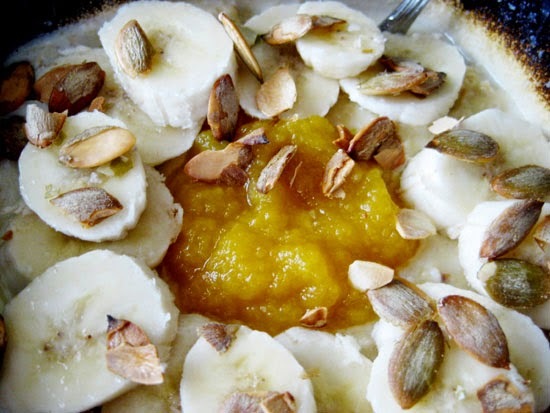 Top off with sliced banana and pepitas.